Literally more than a year ago cherie_morte wrote this awesome timestamp to Oh, My Queen! (the main fic in her Drag Queen!Jared Verse) titled And the Winner Is…. 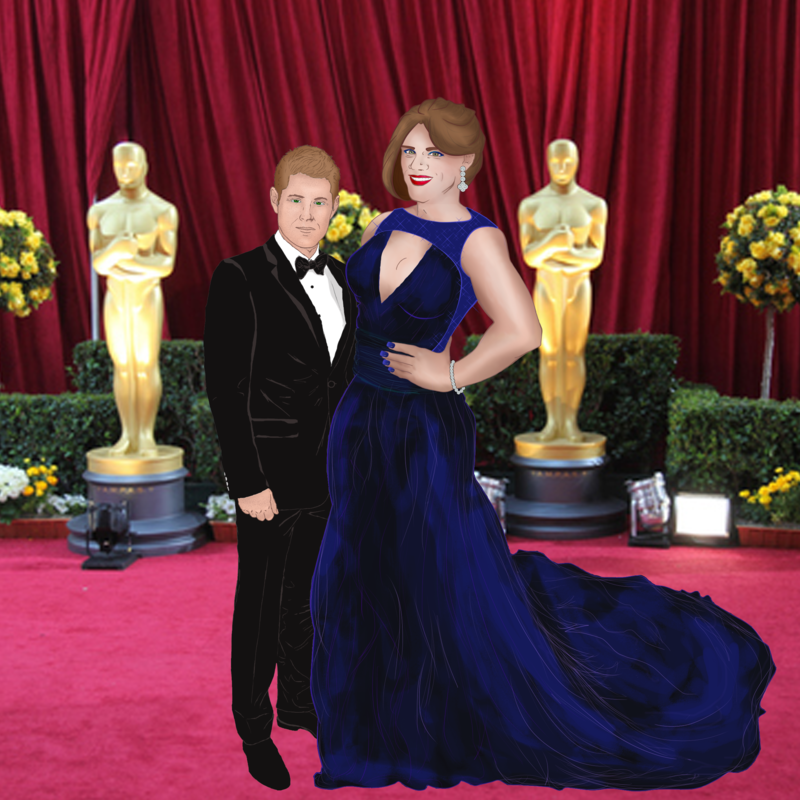 It's a small little 5k fic taking place on Oscar's night. So naturally it took me an entire year to finish the drawing for it. Cherie and I actually spent a good two weeks designing Jay's dress. What shade of blue is it, what kind of fabric, what cut, what do the top and bottom look like, etc. And that waterfall train took just so very much more time to draw than I thought it would, and it was worth every second.